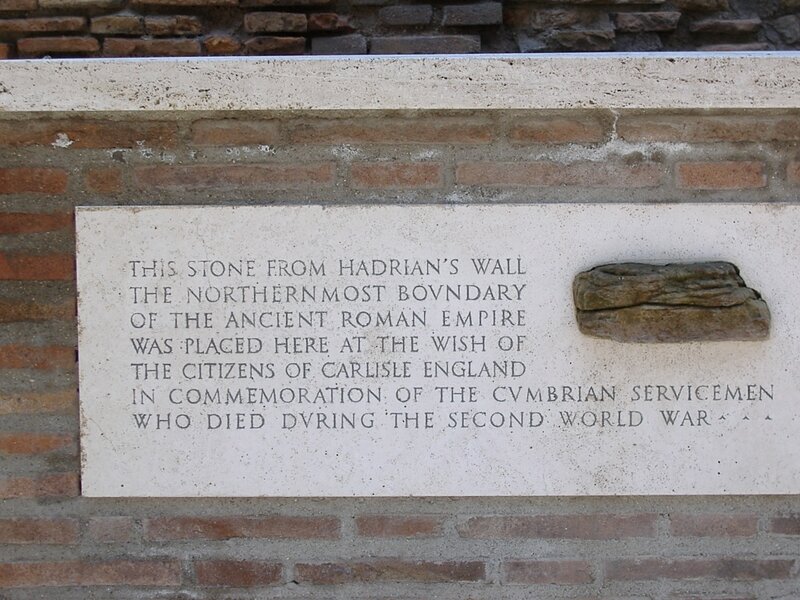 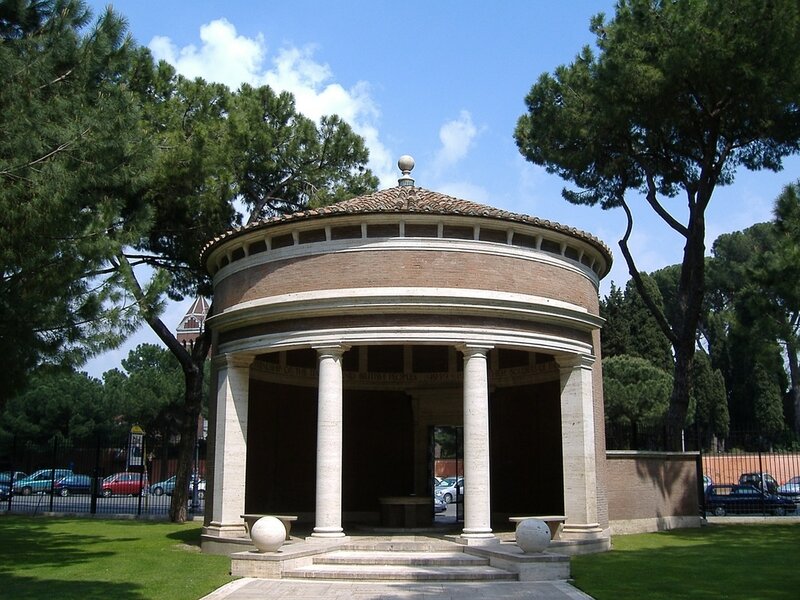 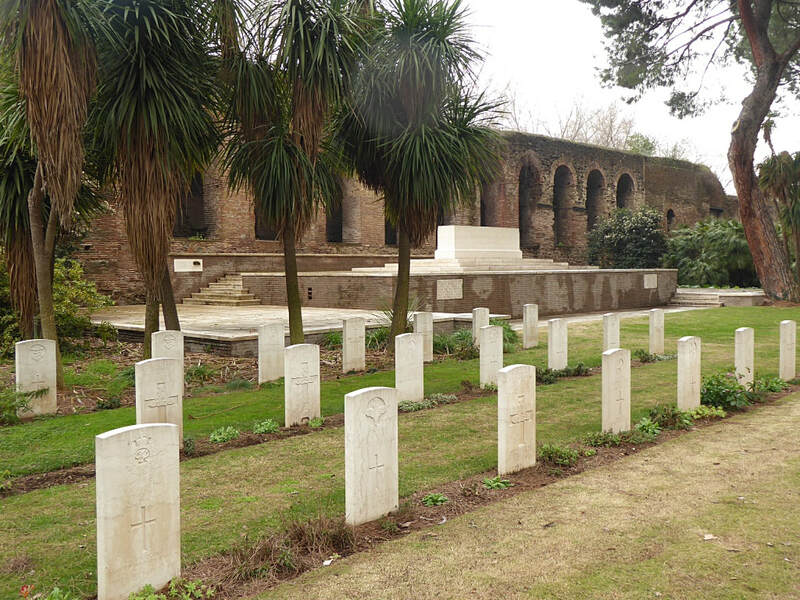 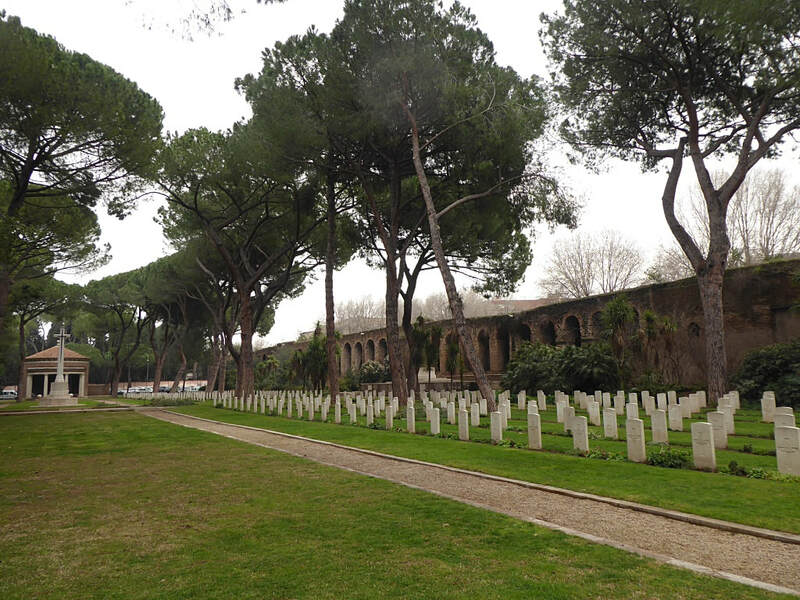 Rome War Cemetery lies alongside and within the Aurelian Walls of the ancient city of Rome. It is reached from the Piazza Venezia, the centre of Rome, by going down the Via dei Fori Imperiali, past the Coliseum, and along the Viale Aventino as far as the Porta San Paolo. 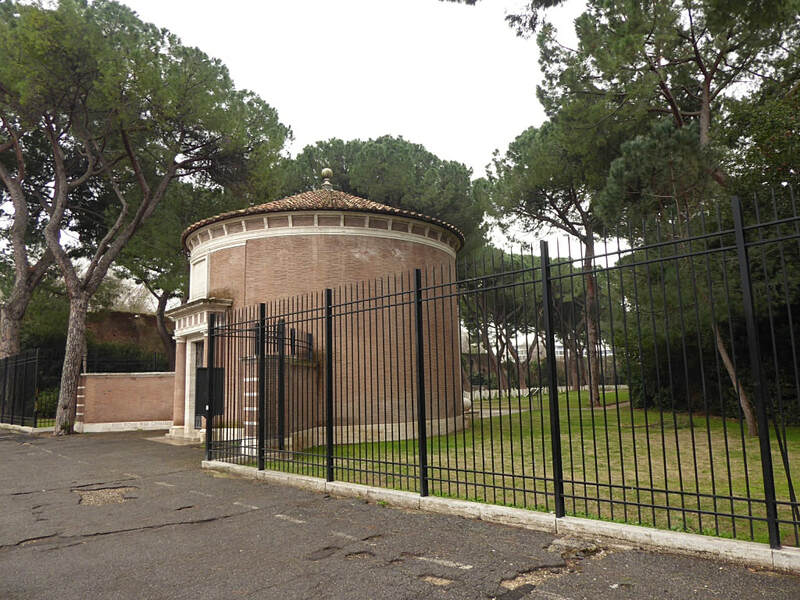 Before reaching this gate and the monument Pyramid of Caius Cestius, take the road to the right along the wall of the Protestant Cemetery, in which the poets Keats and Shelley are buried. Across the road at the far end of that cemetery, you will see Rome War Cemetery. 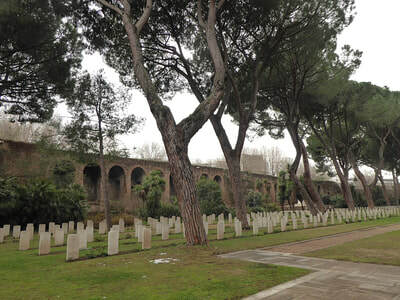 Coming by metro: take the exit Ostiense of metro line B and turn left at the exit following Aurelian Ancient Walls (viale del Campo Boario). 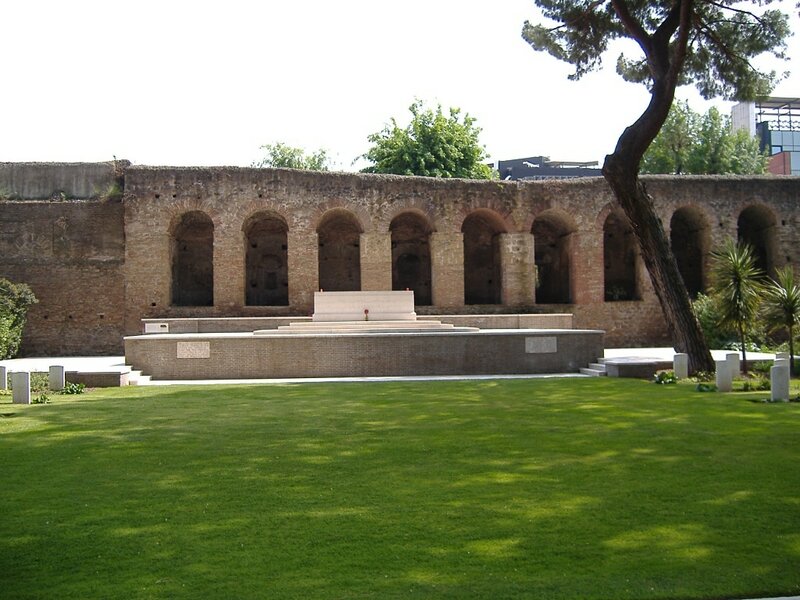 Reach the roundabout and turn right passing under the arches of ancient walls. 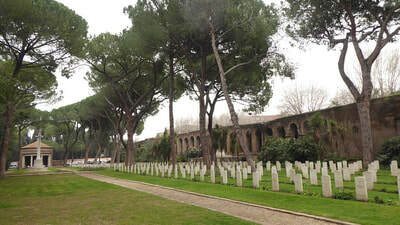 Atfer 100m you will see the cemetery on the left side. 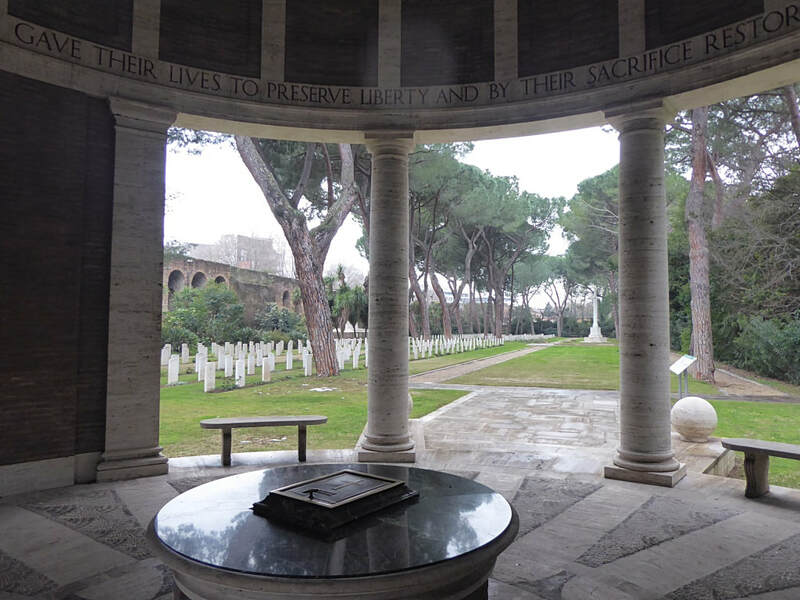 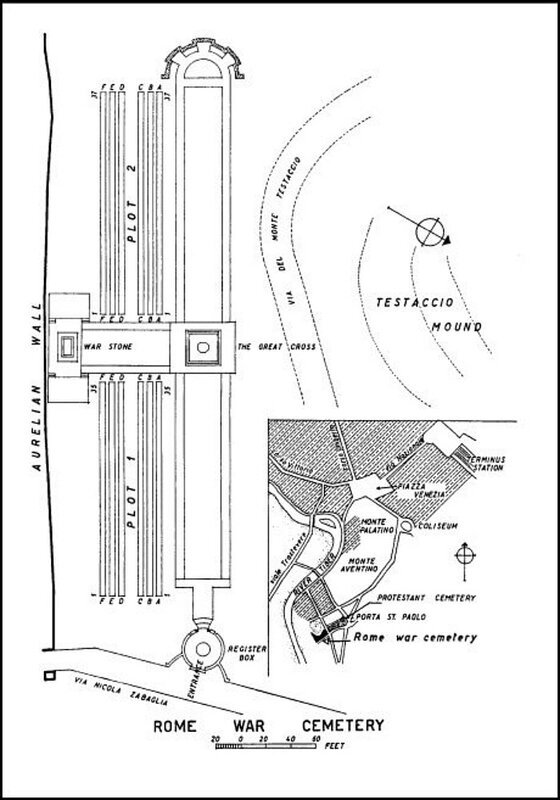 Alternatively, take the metro and get off at Piramide Metro Station, which is close to Rome War Cemetery, on Via Nicola Zabaglia 50, Monte Testaccio. 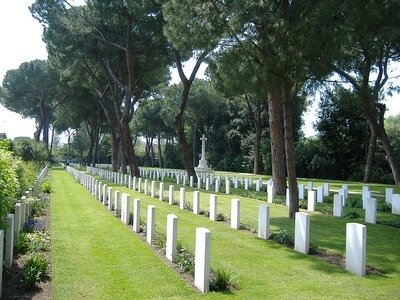 Cemetery address: Via Nicola Zabaglia 50 - 00153 Roma (RM) Lazio. GPS Co-ordinates: Latitude: 41.87502, Longitude: 12.477238. 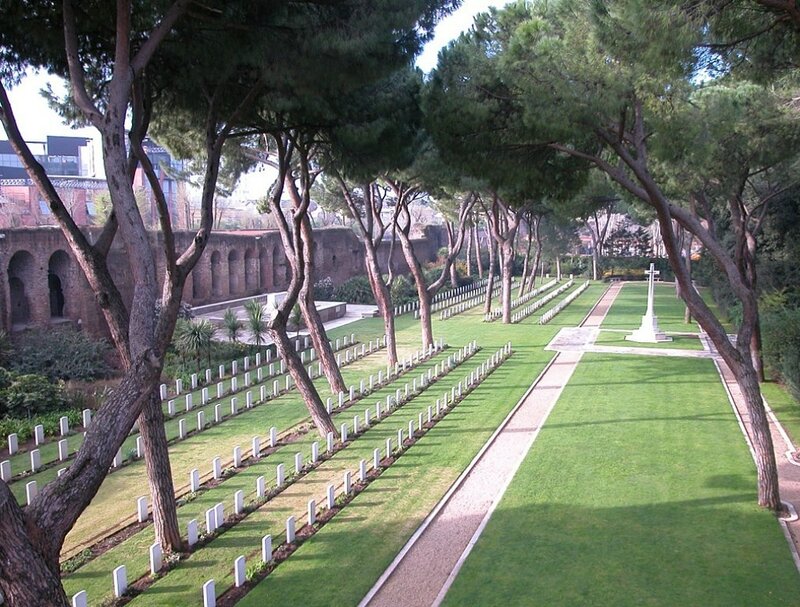 The cemetery may be visited at any time. 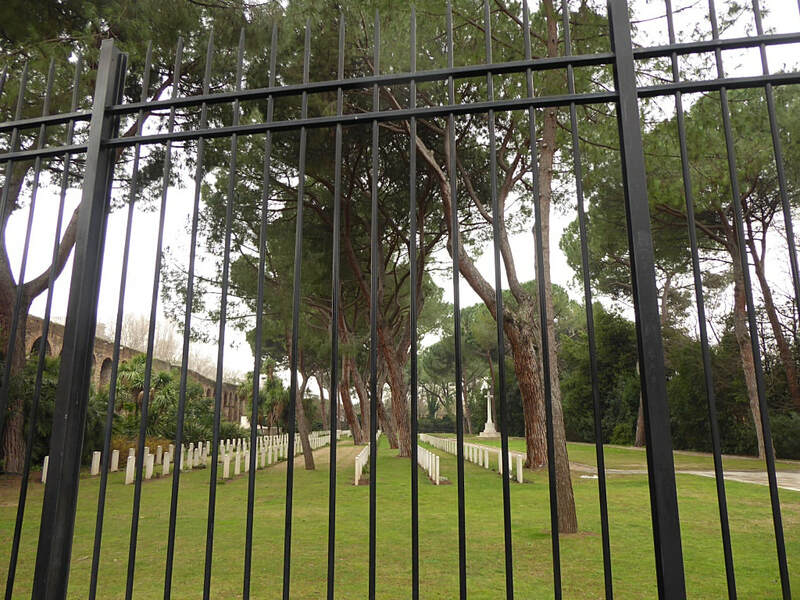 Please note that it is now necessary to keep the cemetery padlocked outside of the gardeners working hours due to frequent theft and vandalism. 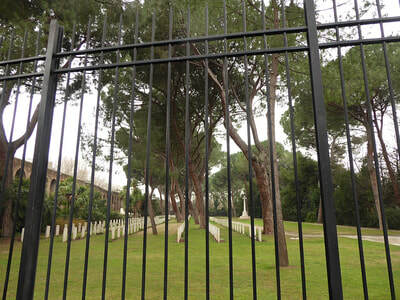 The Combination number for the padlock is 1221 and the padlock is located at the rear of the gate, behind the two handles. Progress through southern Italy was rapid despite stiff resistance, but the advance was checked for some months at the German winter defensive position known as the Gustav Line. Operations in January 1944 landed troops behind the German lines at Anzio, but a breakthrough was not achieved until 18 May when, after fierce fighting, Cassino finally fell to the Allies. 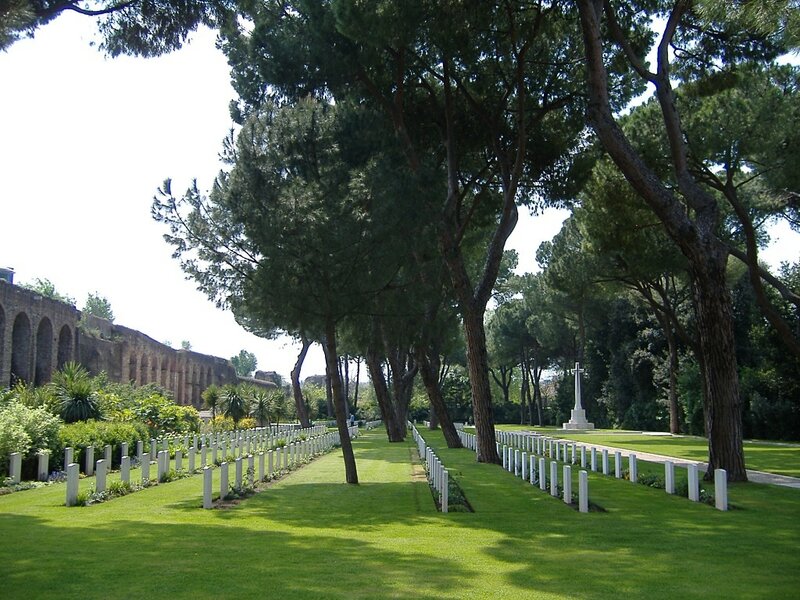 Rome was taken on 3 June as the German withdrawal continued. 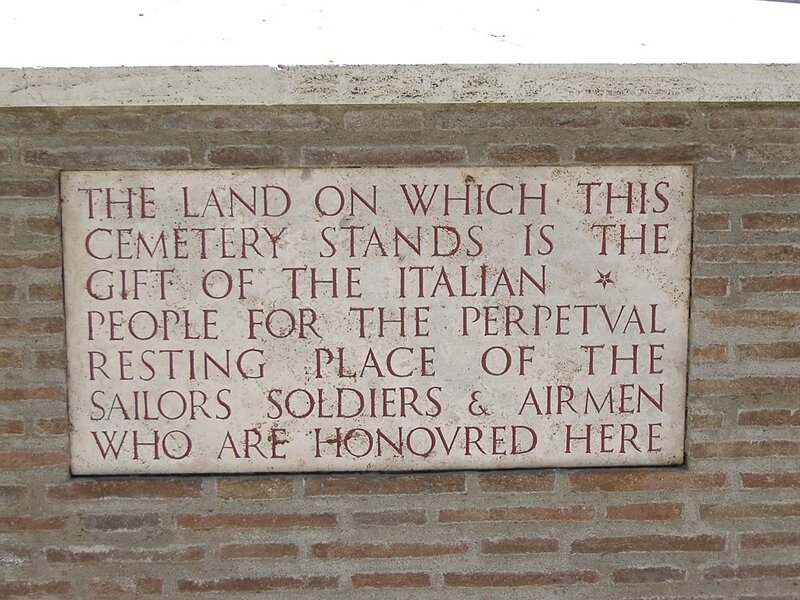 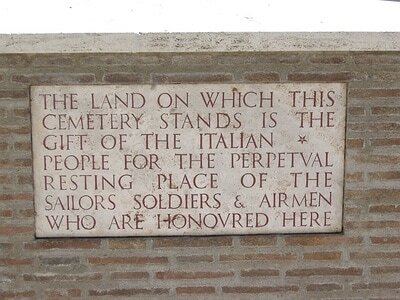 The cemetery was started shortly afterwards and was used mainly for burials from the occupying garrison, but a few graves were brought in from the surrounding country, and some soldiers and airmen who died as prisoners of war in Rome are also buried there. 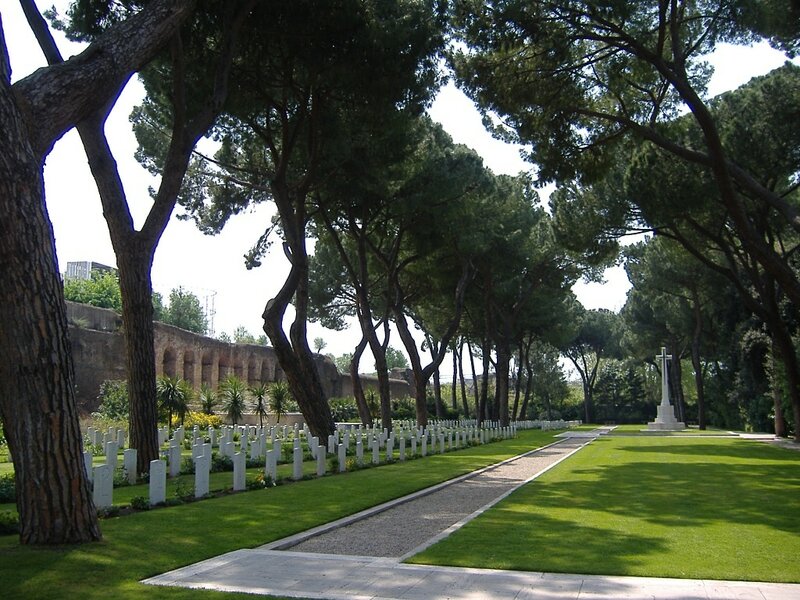 Rome War Cemetery was designed by Louis de Soissons. It contains 426 Commonwealth burials of the Second World War.